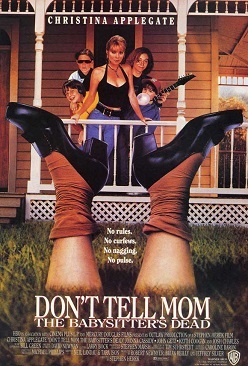 The complete Ted’s Movie Database, featuring the Don’t Tell Mom the Babysitter’s Dead rating system, is now back online. It’s part of the new Lists section, which includes year-end Top 10s and decade-end Top 50s, syllabi, comprehensive exam reading lists, old Village Voice Pazz & Jop critics’ poll ballots, and now TMDB. Follow the links from the navigation bar, or click here to go directly to TMDB. This entry was posted in Centaur Manifesto, Comics, Cultural Studies, Fantasy, Lists, Movies, Music, Myth, Science Fiction, Social Media, TV and tagged Alex Winter, Arts, Bill & Ted's Excellent Adventure, Homelessness, Kanye West, Pazz & Jop, Ted Williams, Village Voice on January 21, 2011 by tedfriedman.